The one year to go milestone is one of the most exciting phases in the London 2012 preparation. Throughout the UK’s capital, there is an air of anticipation as we start to see this global event really come together. As one of the world’s most eclectic and vibrant cities, London is the ideal host for the biggest global event this decade. London 2012 is not just about sport, but also an opportunity to showcase some of the UK’s finest creative talent with the Cultural Olympiad. For me, culture epitomises London and the Cultural Olympiad is a celebration of the city’s creative spirit. There are so many different industries (some whose involvement is perhaps relatively unknown to the public) that contribute to making the Olympics such a spectacular event. So much activity is happening behind the scenes, including the complex IT systems, which my team and I are working hard to deliver. For us, the pressure is continuing to intensify with IT deadlines that have to be met. Unlike other IT projects, the Olympics are delivered and executed under the eyes of the world and there can be no delays. However, in spite of the pressure, I am glad to be able to confirm that the technology we are delivering on behalf of London 2012 and together with the other technology partners is on-track and on-schedule. I am also proud to announce that we are continuing to support the International Paralympic Committee (IPC) to include the London 2012 Paralympic Games. As part of this agreement with the IPC, we will be contributing to the development of the Paralympic Movement by designing its new website. 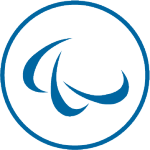 We have envisaged this as becoming the worldwide information source for the Paralympic Movement. With only just over 12 months to go, the heat is most definitely on. Yet, the majority of the IT has already been delivered, which gives me confidence that we will be fully ready for the Opening Ceremony in one year from now! .